Think you know everything about Anberlin? Think again. Matt Metzler has compiled an unauthorized comprehensive history of Anberlin, spanning across the band’s career. 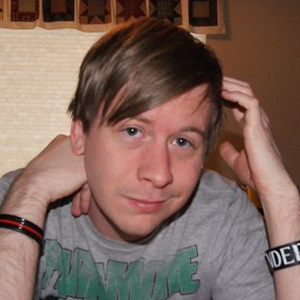 His site, AnberlinForever.com, features interviews, band stories, photos, old video footage and much more. Take a look around the site – if you’re a fan of the band, you’re not going to want to miss this. What are some of your favorite Anberlin memories? Share in the replies! Goodbyes are never easy, but having a little prior notice certainly makes the event a touch more palatable. For Florida alternative rock powerhouse Anberlin, goodbye comes in the form of one final album – Lowborn – a fitting farewell in nearly every capacity. Truthfully, it takes a lot of guts to go out this way. For a band with one of the most solid front-to-back discographies of the past decade, there’s a bit of a risk of tarnishing the band’s legacy with a faulty final step. Then again, Anberlin has never been known to disappoint. The band returned to their original home at Tooth and Nail Records to release their final record, and hit the studio with their self-proclaimed dream team of Aaron Marsh, Matt Goldman and Aaron Sprinkle to record in a creative, pressure-free environment. The resulting product is not only a solid album in its own right, but also serves as an honest depiction of the band as they truly are in 2014. Throughout Lowborn, Anberlin sidestep many of their own conventions, slighting stark tempo and atmospheric changes between tracks in favor of a slow burn. Lowborn’s songs seem to brood from one to the next, creating a steady swell that keeps you on your toes. Yes, “We Are Destroyer” serves as a combative opener and “Dissenter” refuses to fit within the album’s gentle flow, but as a whole, this might be the most concise and moody album in the band’s discography. 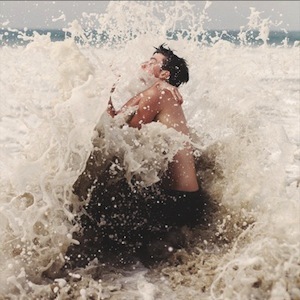 Lowborn finds Anberlin finally chasing a synthpop/alt-rock blend head-on throughout most of the record, sounding more like late-80’s New Order or Depeche Mode than a band you’d find on Warped Tour. The band has dabbled successfully in this sound before on their 2010 album Dark is the Way, Light is the Place, but this 2014 version is a more fully-realized effort. “Armageddon” lays down grooving synthesizers and bass that flow subtly underneath vocalist Stephen Christian’s haunting lower register. Single “Stranger Ways” starts slow as well, but picks up pace behind Nate Young’s drums to push the song to a breathtaking crescendo at the end of the song’s second verse. Meanwhile, the synthesizers and guitars find their perfect blend on “Atonement”, allowing Christian to carry the song over the top during a chorus of, “Don’t want to be here / Don’t want to be here without you / I need to know you / I need to know you believe in me”. Thematically, Lowborn is all about brevity, and fittingly, goodbyes. Even without any backstory, you get the uncomfortable urge to grasp at an unknown, fleeting moment. 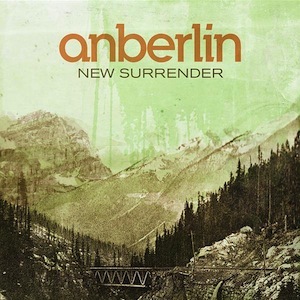 Throughout their history, Anberlin has had a knack for conveying story and emotion throughout the course of an album – the same stands true here. Lowborn moves patiently and darkly, remorseful of its own end while still managing to capture hope and reflection inside of the songs’ often surprising melodies. So where does Lowborn fall within Anberlin’s superb discography? Its lack of oomph and diversity keep it from landing alongside Cities or Vital as the band’s best work, but it’s undoubtedly a more mature album than early releases like Blueprints for the Black Market or Never Take Friendship Personal. Instead, Lowborn fits well alongside Dark is the Way as an expression of the band’s obvious 80’s influences and ability to branch far beyond the typical alt-rock boundaries. That is to say, it’s a damn good album. It’s hard to imagine the rock scene of the past decade without Anberlin. The band not only sparked a fire in the early-aughts post-punk landscape, but also managed a number one single on rock radio and became a nationally recognized name associated with intelligent and thoughtful, but aggressive rock. Their final lineup of Christian, Young, guitarists Joseph Milligan and Christian McAlhaney, and bassist Deon Rexroat has been one of the most formidable and talented lineups in recent memory. Anberlin will truly be hard to replace. But then again, maybe we don’t have to. With seven solid albums released over the course of 11 years, the band left behind more than a few memories to carry on. Bookending that list is Lowborn, a proper and commendable final chapter. 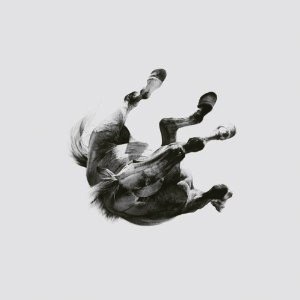 Anberlin’s new album Lowborn, which releases on July 22 on Tooth and Nail Records, is now streaming in its entirety on Pandora. Lowborn will be the final release from the band, as they are hanging it up after a world tour that wraps up late this year. What are your thoughts on the new album? Where does it rank amongst Anberlin’s collection? Let us know in the replies! Lost in the shuffle of a parade of 10-year anniversaries that have hit the pop-punk/emo scene in 2013 is an album that rarely gets mentioned, but surely deserves reflection. 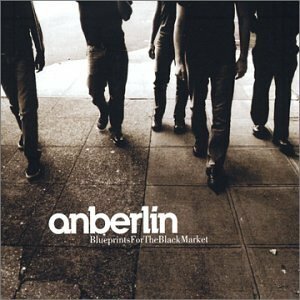 Anberlin’s Blueprints for the Black Market is not their defining album, nor is it generally considered a classic in this scene. It is, however, a stellar debut and an album that holds up extremely well a decade later. It truly is a diamond in the rough. So why does no one talk about it? We recently did our first podcast for this website on albums that turned 10 this year and I completely forgot to mention it during the recording. Blueprints for the Black Market may have been my favorite album of the year in 2003, yet I sometimes still forget how good it is. At least until I put it on. 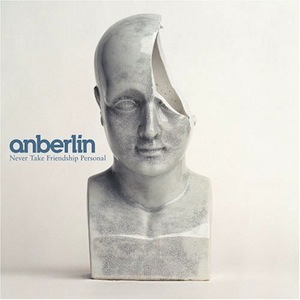 Unfortunately for Blueprints, Anberlin went on to create at least two classic and revered albums (Cities and Vital, although some include Never Take Friendship Personal in this conversation as well) that overshadowed their early work and helped them stake their claim in the scene. Even their most lackluster album, New Surrender, featured their breakout radio single “Feel Good Drag”. When people have conversations about Anberlin, these are the talking points – and rightly so. However, for a band that has developed such a following and has proved itself to be a reliable and respectable act, it seems unwise to not remember their roots. Blueprints for the Black Market is an absolutely incredible debut album and is truly a worthy release in its own right. In what would be the first of several albums recorded with Aaron Sprinkle, Anberlin wrote some of their most aggressive work. It’s certainly true that the unique vocal style of Stephen Christian is what drew many people into the band to begin with, but the guitar work of a young Joseph Milligan can’t be emphasized enough. Milligan’s work alone makes this album feel like a band hitting their prime as opposed to just breaking out of the gate. Take the first track, “Readyfuels”, as an example. In what is one of the best opening songs in the band’s catalogue, Bruce shreds the bridge to pieces – just watch his fingers during a close-up shot in the song’s abysmal music video. 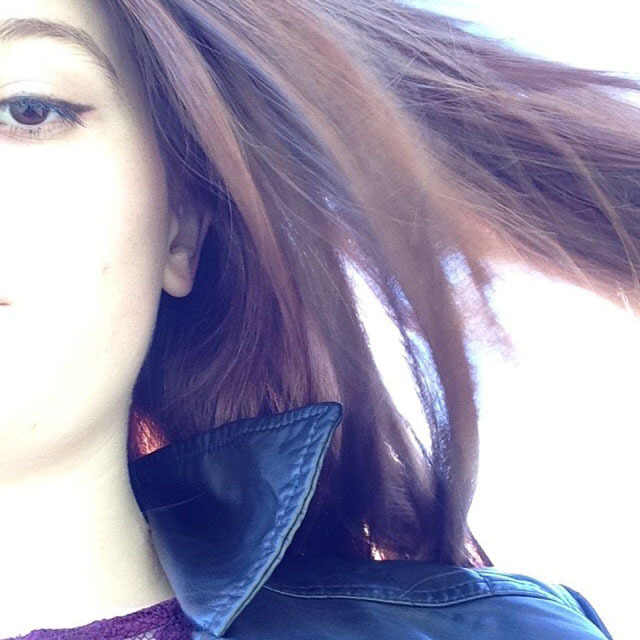 Accompany the music with Christian’s urgent vocal delivery, and Blueprints opens with a bang. Although this is the track most people point to during discussions about this album, songs like the forceful “Glass to the Arson” and the pleading “Change the World (Lost Ones)” make this album special. There’s a certain emo tinge to many of these tracks – a little more edge, a little grittier – that separate them from the rest of the band’s catalogue. Though many may comment that they perfected this sound on Friendship, I might argue that they merely shifted their direction. Even the missed notes, like the goofy “Foreign Language” and out-of-place-poppy “Autobahn”, serve their own purpose in easing up on the gas pedal. But alas, this album is not so much the sum of its parts as it is celebrating the individual parts that make it. It ebbs and flows and by the time you hear the haunting drum outro of “Naïve Orleans” echo away, you feel you’ve truly experienced something special. I remember walking in the snow across my college campus listening to this album in my headphones. It provided a therapeutic comfort during those confusing and sometimes aimless days. Christian’s cryptic lyrics kept me searching and certainly made me look for something deeper when I reached for new music. The aggressive sound of the album pushed me in the direction of bands like Dead Poetic and Underoath, opening a completely new realm of sound. 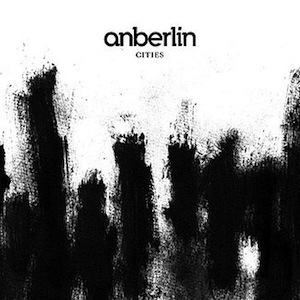 Cities will likely be remembered as Anberlin’s defining album, and I certainly won’t argue against that here. The truth is, the band’s collection is filled with solid work, all of which deserve to be cherished in its own way. If it’s been a while since you’ve thrown on Blueprints for the Black Market, take another listen. It’s likely that you’ll still remember the songs, but you may be surprised at how good they sound all these years later.